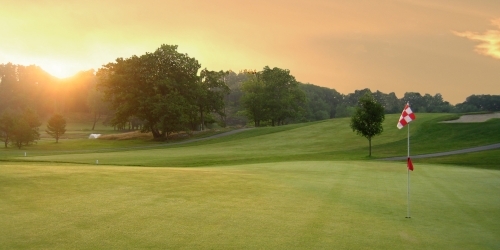 The Bath Golf Club is an 18 hole facility located in "the City of Ships": Bath, Maine. Originally designed by the great Wayne Stiles in 1932, The Bath Golf Club has been a favorite for generations of golfers throughout the Mid Coast area. An ambitious renovation/restoration project that began in 2012 has the course playing on what longtime players call its "best conditions ever". The Wayne Stiles Grill serves exceptional lunch and dinner offerings with panoramic views of the golf course from both the dining room and wraparound porch. Minutes from the open ocean and rooted in a centuries-old history of shipbuilding, the city of Bath itself and the surrounding region offer a vast array of off-the-course offerings. Welcome to the Bath Golf Club! The Hampton Inn Bath offers a stay in the historic 'City of Ships' with a variety of nautical attractions nearby. Experience art, culture, entertainment and local events on your doorstep. Stroll along the footpaths on the banks of the Kennebec River at Bath Waterfront Park. Just a short walk from the hotel, you'll find a unique mix of shops, restaurants and historic sites in the downtown area. See below for our current packages. Additional rounds of golf may be purchased in advance. Rates listed are per person/double occupancy and include room, Hampton's free, hot breakfast, 18 holes with cart, all taxes, resort fees and gratuities. Rates are based on availability and are subject to change. Choose from rooms overlooking Bath's picturesque Library Park or from rooms overlooking the mighty and historic Kennebec River. The Bath Country Club reserves the right to change price and offer at anytime. Prices and offer are subject to change without notice. MaineGolf.com is not responsible for errors posted in this golf package.